The AvPlan EFB Virtual Copilot is a collection of features and technologies which come together to reduce your cockpit workload and increase your situational awareness. The outcome is to make you a safer, more confident pilot, no matter what you fly. “No Weather Available” is not something you will ever see. 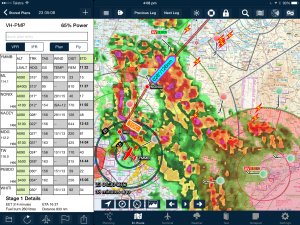 Before your flight and as you fly, depending on the availability of internet access, AvPlan EFB will download the weather (METAR, TAF, ATIS, NOTAM and Weather Radar) for the remainder of your flight. AvPlan EFB even monitors your internet connection, and updates the weather when network access returns if there has not been an update for a while. Data is saved on your device and is accessible even if you power your device off and on. 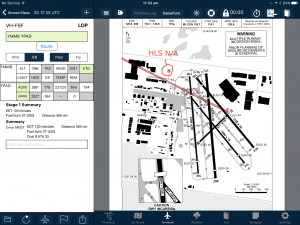 AvPlan EFB automatically loads the airport diagram into the Terminal pane when you land at an airport. Just tap on the Terminal pane to view the diagram (if you arent on the Terminal pane). Additionally, IFD440/540/550 users will see the appropriate approach plate appear as you cycle through an airports approaches. 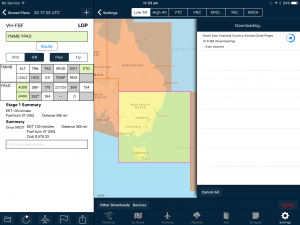 Managing data (maps, charts etc) is a new and often ignored task for EFB users. AvPlan EFB can download and update its databases without your input. AvPlan EFB can wake itself up in the middle of the night and download all required data updates. We track your downloads and warn you in advance (via device notifications and email) if the data on your device is not up to date. AvPlan EFB will notify you of relevant details as you fly. Receive notifications about airspace ahead (and if it is active, de-active or unknown), as you taxi up to or enter a runway, terrain, heading changes, area frequency changes and more. 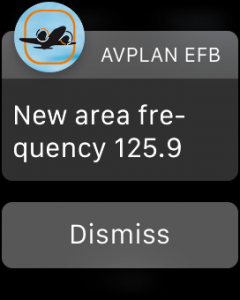 These alerts appear on AvPlan EFB and can be sent to your headset via bluetooth, or to your Apple Watch. Smart Notifications enable you to be more “eyes out” of the cockpit and less focused on your EFB, while still being alerted to important information about your flight. Never be surprised by ATC giving you new routing when calling for a clearance. AvPlan EFB users receive reports when your flight plan is acknowledged by ATC and your expected routing.